Cyber Essentials scheme is one of the actions under the UK Government policy “Keeping the UK safe in cyber space“. 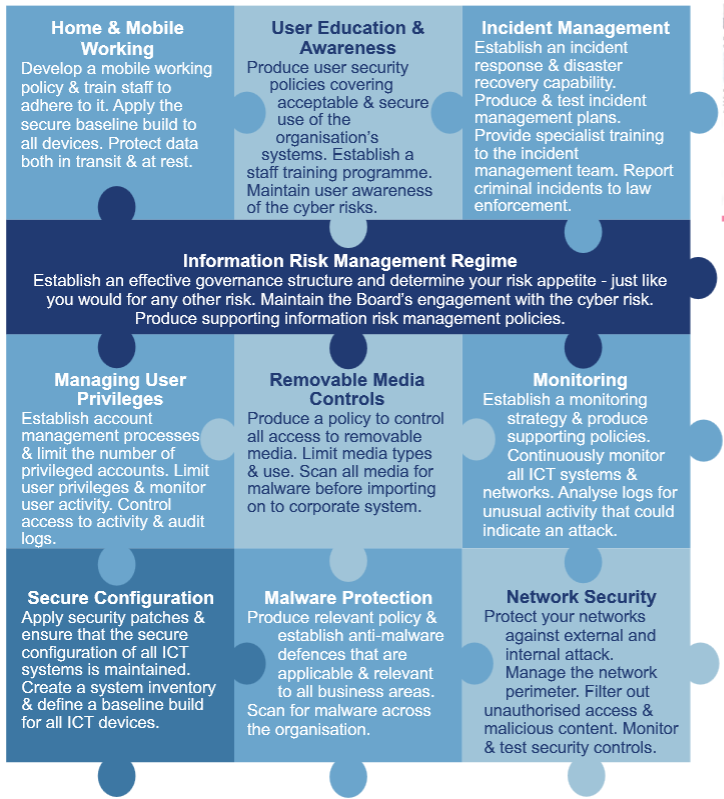 It provides a clear statement of the basic controls all organisations should implement to mitigate the risk from common internet based threats, within the context of the Government’s 10 Steps to Cyber Security. And through the Assurance Framework it offers a mechanism for organisations to demonstrate to customers, investors, insurers and others that they have taken these essential precautions. 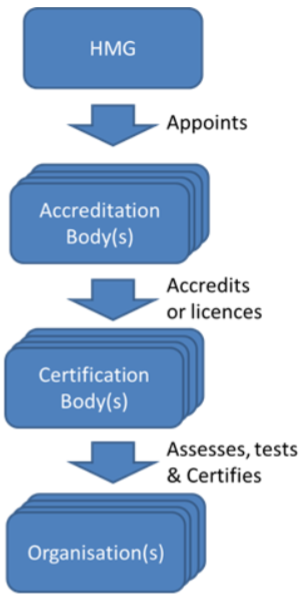 Cyber Essentials certification is awarded on the basis of a verified self-assessment. 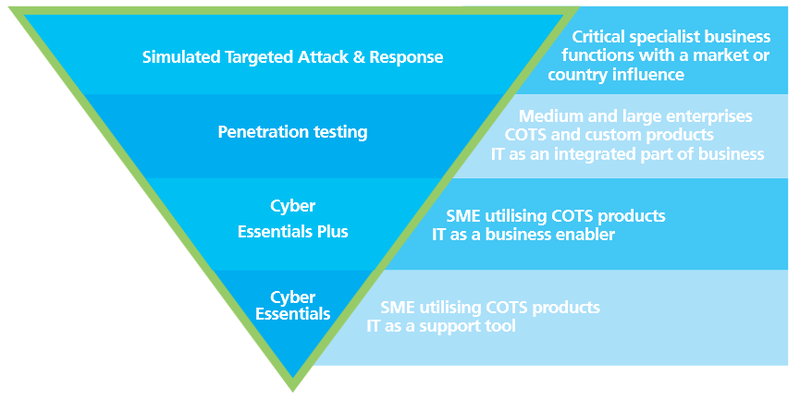 CyberEssentials Plus offers a higher level of assurance through the external testing of the organisation’s cyber security approach. The Cyber Security Challenge is a series of national competitions, learning programmes, and networking initiatives designed to identify, inspire and enable more EU citizens resident in the UK to become cyber security professionals. 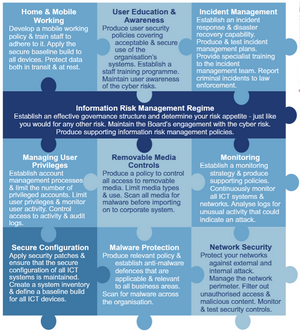 This entry was posted in Cybersecurity, ICT Regulation, Risk Management, Security Certifications, Security Standardization and Practises. Bookmark the permalink.